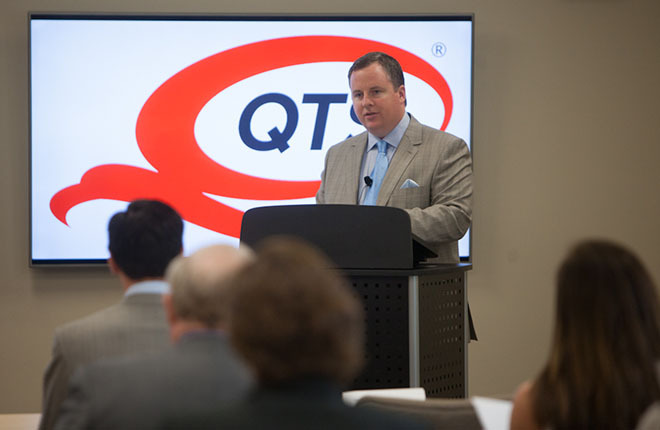 OVERLAND PARK, Kan., Jan. 23, 2019 /PRNewswire/ -- QTS Realty Trust (NYSE: QTS), a leading provider of hybrid colocation and mega scale data center solutions, today announced a five-year agreement with Cloudalize, a provider of GPU-accelerated Desktop-as-a-Service for architectural, engineering and construction (AEC) firms. Headquartered in Belgium, Cloudalize is expanding globally and chose QTS' Piscataway data center and new Service Delivery Platform (SDP) for a high-density hosting environment required for graphics processing unit (GPU) intensive applications. GPUs are specialized circuits designed to rapidly manipulate and alter memory to accelerate the use of computer graphics and image processing required for advanced applications. They optimize visual rendering, game engine-based software delivery, machine learning and artificial intelligence, high performance computing, deep learning and virtual, augmented, and mixed reality. Cloudalize's service enables its customers to run and distribute any GPU intensive application and 3D visualization on any device and at any time. 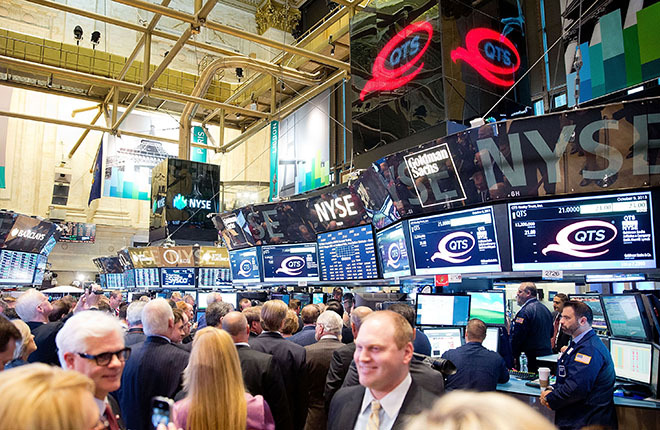 In the span of 18 days, QTS collaborated with Cloudalize engineers to deploy a secure high-density colocation environment supporting 31 Kw/rack with containment and computational fluid dynamics (CFDs) for cooling. It features highly resilient blended network connectivity required for GPU powered Desktop-as-a-Service uptime and availabilty. 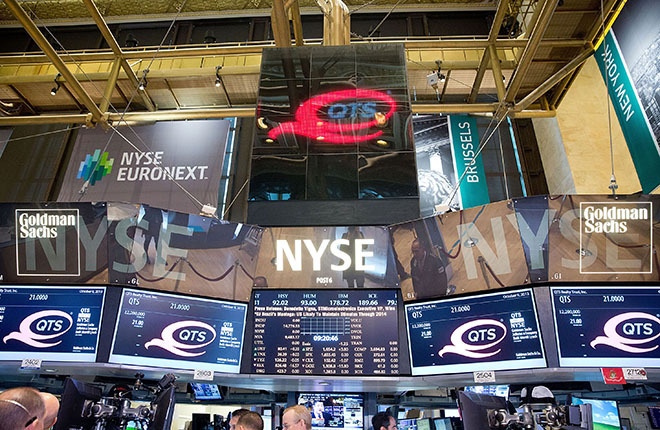 QTS' API-driven orchestration and SDP enables real-time visibility, access, and dynamic control of critical metrics such as power, cooling and humidity in their high density environment, from a single platform, on demand. "QTS is the ideal partner for the rapid expansion of Cloudalize's GPU on-demand cloud platform on any device," said Benny Willen, CEO of Cloudalize. "Their high-touch collaborative team, solution and cooling expertise, and new service delivery platform is a powerful solution for our business growth and we look forward to a long term partnership." "Cloudalize is an innovative company with a dynamic GPU-powered Desktop-as-a-Service that is poised to grow on a global scale," said Clint Heiden, Chief Revenue Officer, QTS. "GPU desktops are very cost-prohibitive to produce making GPU-accelerated desktop-as-a-service highly compelling. We look forward to working as a strategic and trusted partner providing the technology and services as Cloudalize builds and expands their network." Launched in 2017, SDP aggregates, analyzes and automates data across all of QTS customers' IT environments. With speed and agility paramount, and a focus on enabling a richer customer experience, QTS SDP allows customers to interact with their data center deployments in a way that is simple, seamless and available on demand. Cloudalize empowers its customers with GPU power on demand so they can run GPU-accelerated applications on any device. Cloudalize's platform enables on the one hand architecture, engineering and construction companies who struggle to collaborate remotely, securely and efficiently on BIM- compliant projects. On the other hand, the platform also enables software vendors, content creators and even entertainment providers to distribute their GPU-accelerated applications and 3D models instantly via a one-click experience on any device. Request a demo at www.cloudalize.com.